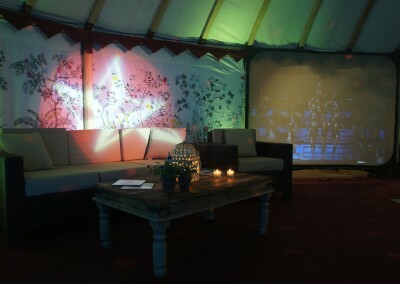 These tents demonstrate a fantastic combination of global architecture and culture – they are a really unique and unusual design. 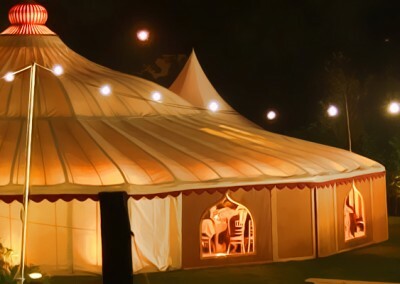 Marquee pavilions are a year round tent and can stand on hard surfaces as well as grass. 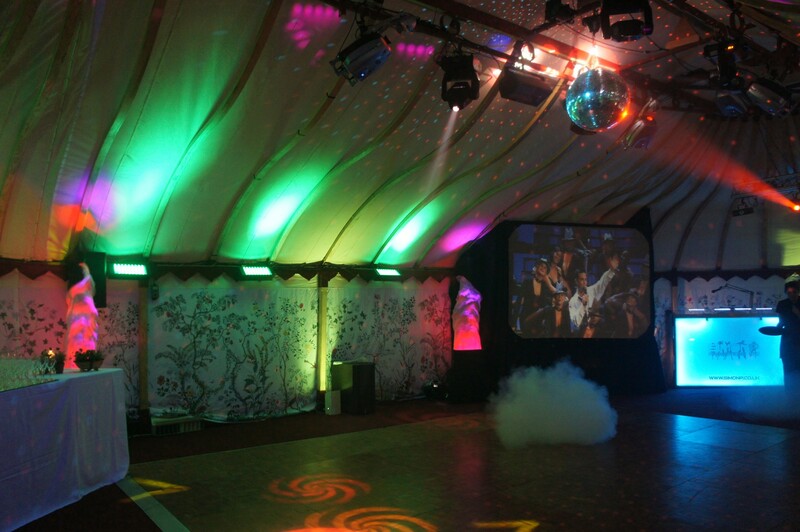 Styled widow walls or solid wooden wall panels are available, making it suitable in all sorts of weather. 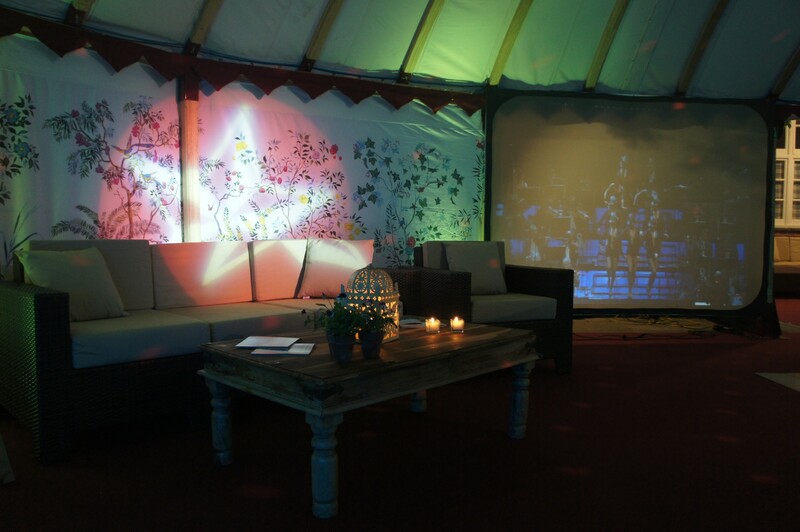 Pavilions are circular/oval with wooden frames and a canvas structure. 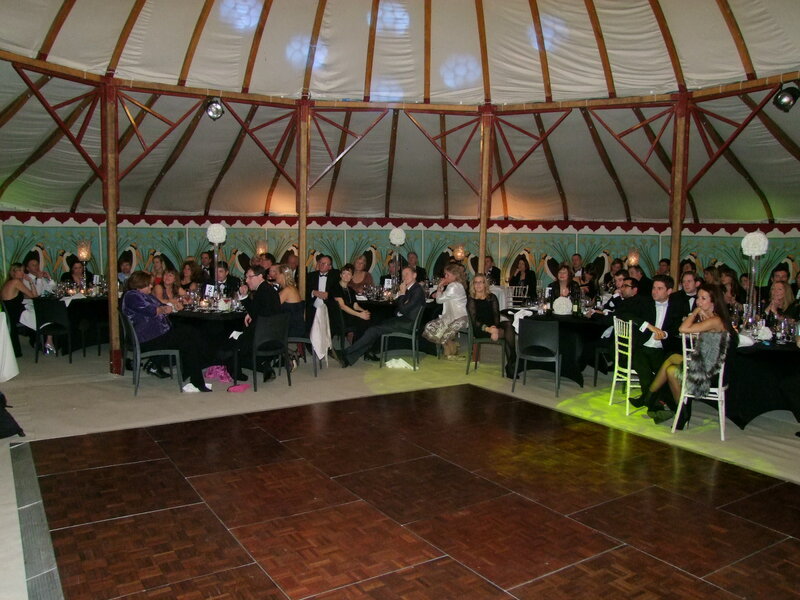 This shape makes it a perfect space for a central dance floor and surrounding tables. 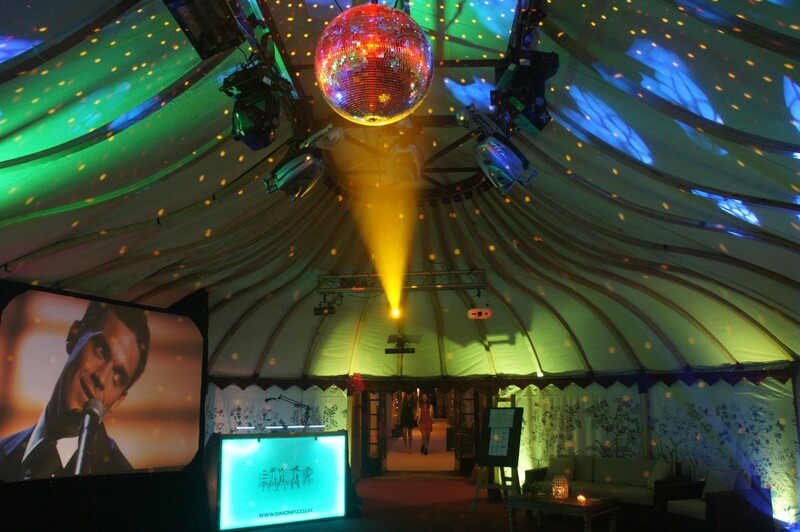 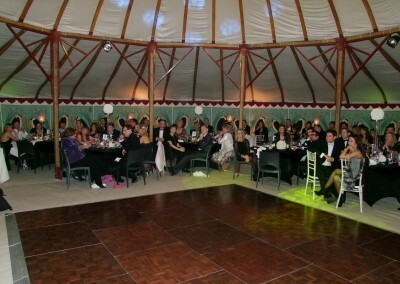 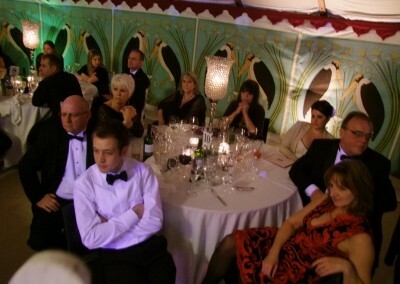 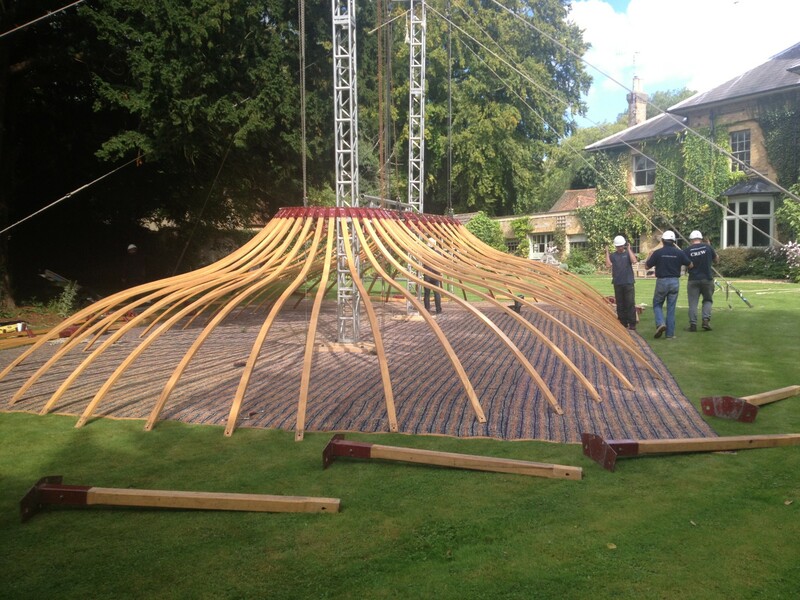 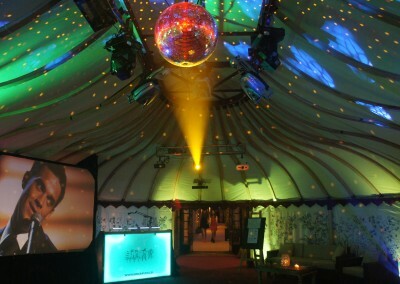 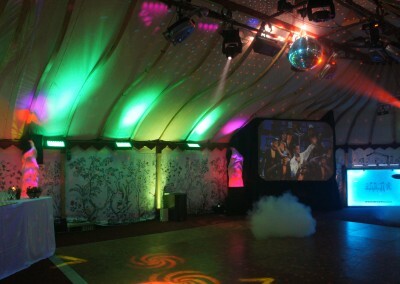 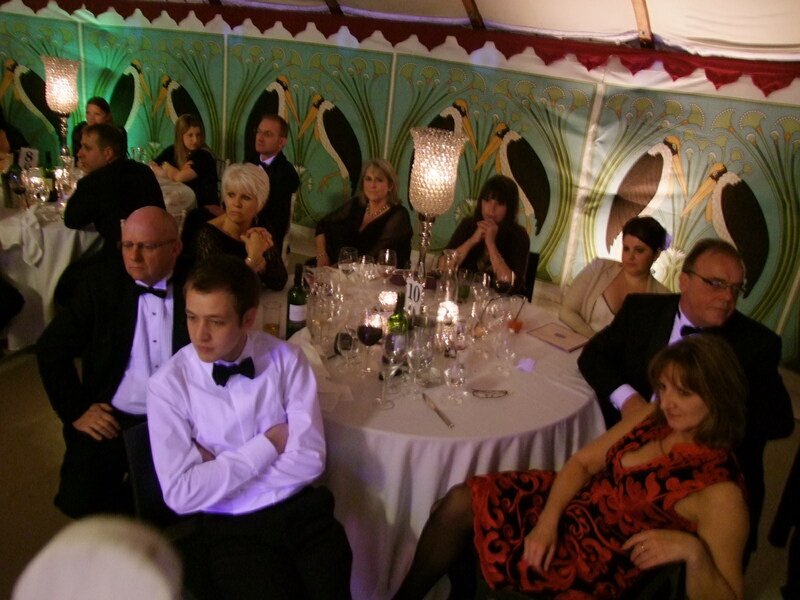 Circular tent perfect for central dance floor and surrounding tables. 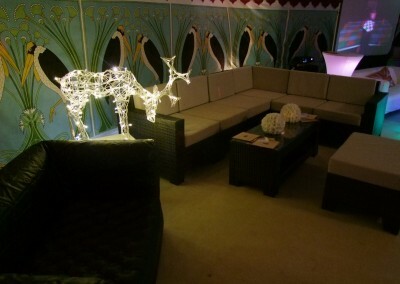 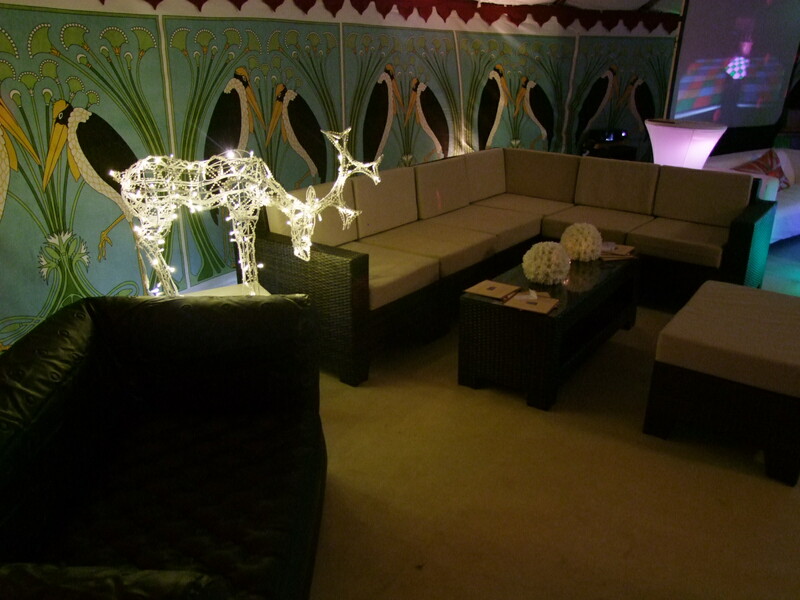 Large capacity and extra pods can be added to create ‘rooms’ for chill out areas, bars or extra dining. 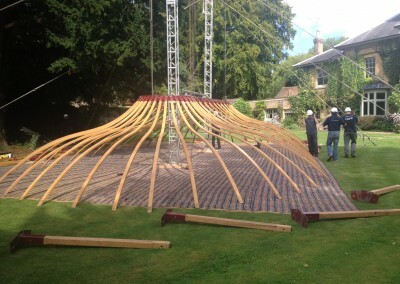 Ash frame creates organic and natural feel.